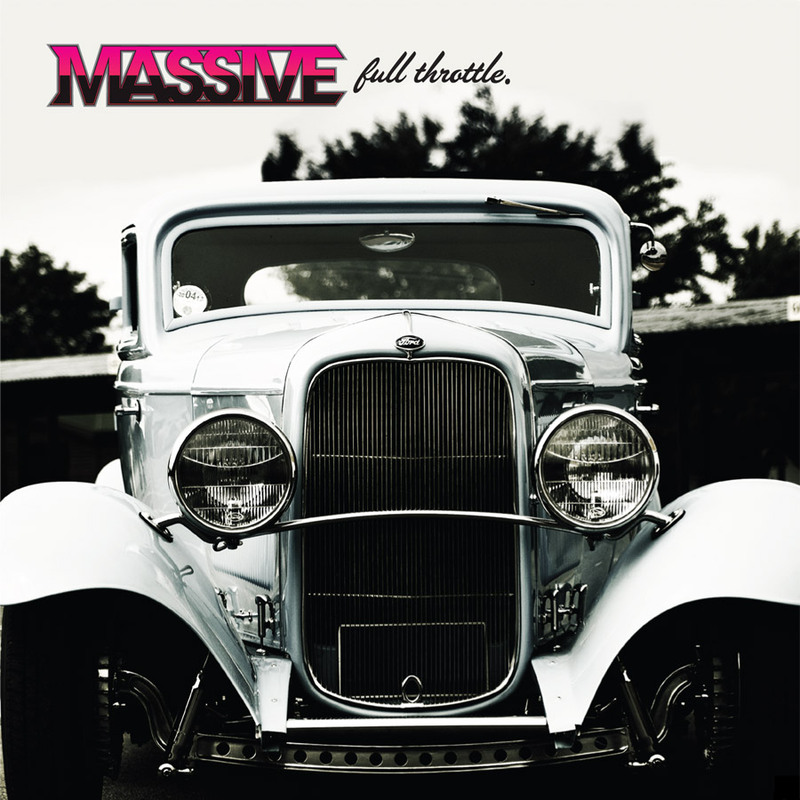 Hi-octane rockers Massive stake their claim for greatness with their debut album “Full Throttle”. Displaying a work ethic worthy of any of their Aussie compatriots, Massive think nothing of regularly traveling a thousand miles across Australia for a single show, and often return home battered and bruised. Their war stories are littered with live shows abruptly pulled by frightened security, or venues cutting the power mid-set. A self-funded trip to tour the West Coast of America involved avoiding arrest for bringing back most of the crowd from one of the shows to their hotel for an after-hours party. “Full Throttle” is a breakneck all killer, no filler record which is brimming with attitude. Tracks like “One By One” fuse aggressive and anthemic choruses with fun-filled solos whilst the bass-heavy, testosterone-soaked “Dancefloor” is more sweaty circle pit than glitzy ballroom. The menace and grit of the band comes out in tracks like “Big Trend Setter”, which is an egotistical explosion of pure rock ‘n’ roll arrogance. “Now or Never” is a white-knuckle joyride with enough G-force to make your head spin, and the middle-finger-to-the-man numbers like “Hollywood” will whip up any crowd into an anarchic frenzy. The band have also confirmed their first visit to Europe, beginning with a slot at the Hard Rock Hell festival in November. Massive are, Brad Marr – Vocals/Guitar, Ben Laguda – Vocals/Lead Guitar, Aidan McGarrigle – Backing Vocals/Bass Guitar and Jarrod Medwin – Backing Vocals/Drums. “Full Throttle” is released on Earache Records on July 21st. We’ll be playing the track ‘Hollywood’ on Thursday’s show – click here for details – and will be running a competition to win a copy of Massive’s ‘Full Throttle’ courtesy of Earache Records! ← The Classic Rock Show ‘Request-line’ is now OPEN!